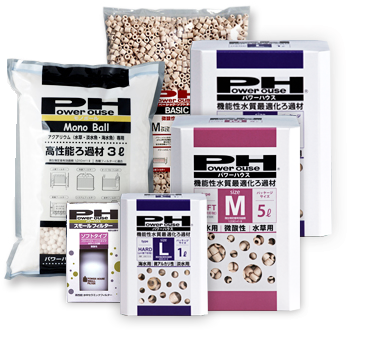 Power House is the top brand of filtering media for directly making aquarium water. It's gained great reputations from professionals and enthusiasts, especially for its long-term performance. Power House products are developed under the concept of performance and durability for aquarists who are particular about their fish, waterweeds, and aquarium water. Adobe Reader is required to view PDF documents. You can download it free of charge from Adobe Systems Incorporated's website. Copyright(C) TAIHEIYO CEMENT CORPORATION All Rights Reserved.